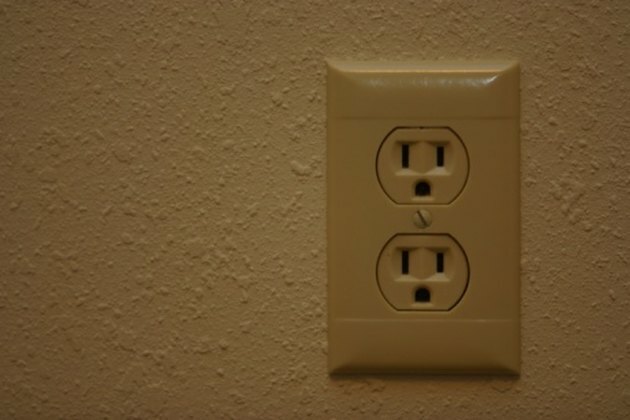 Wall outlets in America have two standard voltage amounts: 120 and 240. These numbers can fluctuate a little, but all low-power outlets will measure 110 to 130 volts and high-power outlets will measure 200 to 240 volts. 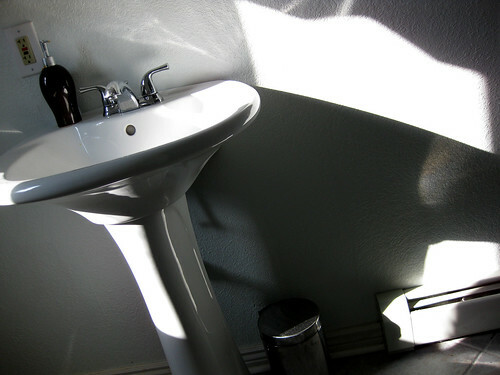 The larger outlet is designed for large appliances like refrigerators and washing machines. 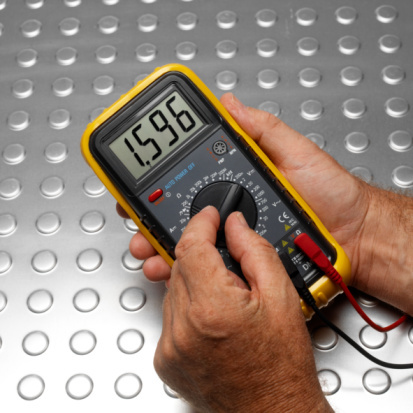 Manufacturers seldom mark the outside of outlets but a multimeter will tell you the voltage in just a few seconds. Use a multimeter to find an outlet's voltage. Set the multimeter to AC, VAC or V~. Connect the red wire to the positive lead on the multimeter. Connect the black wire to the negative lead. Turn on the multimeter. Grip the red lead in your left hand and the black lead in your right hand. Hold the leads with your fingers solidly behind the rubber finger guards. Slide the red lead into the outlet's left slot and the black lead into the outlet's right slot. Push them forward until they stop. Do not force them in. Read the multimeter. Wiggle the leads slightly if the outlet is not registering. If it still doesn't register, check the circuit box to make sure the power is on. Jericho McCune has been a writer and editor since 2007. He has written for various publications including "The Global Times" and Ridan Publishing. McCune worked as a carpenter and stage technician for 15 years before moving to China to teach English. He studied at Akron University and Shanxi University (Taiyuan, China).